The second critical ingredient is the flux, what Neri calls "glass salt" or "soda." This can be obtained from mineral sources, but European glassmakers in the seventeenth century extracted all their salt from certain plants. The powdered quartz was mixed with the salt and a third ingredient, which is critical, lime. Lime is simply calcium oxide used by builders to make cement. It is nothing more than pulverized seashells roasted to a high temperature. Neri advises using two pounds of lime for every hundred pounds of salt. He specifies that it should be added to all his frit recipes, but it is not clear that he understood its critical importance; without lime, the glass would be subject to attack by mere water, eventually decomposing. This mixture of soda, lime and silica when heated in a kiln would chemically react forming "frit." 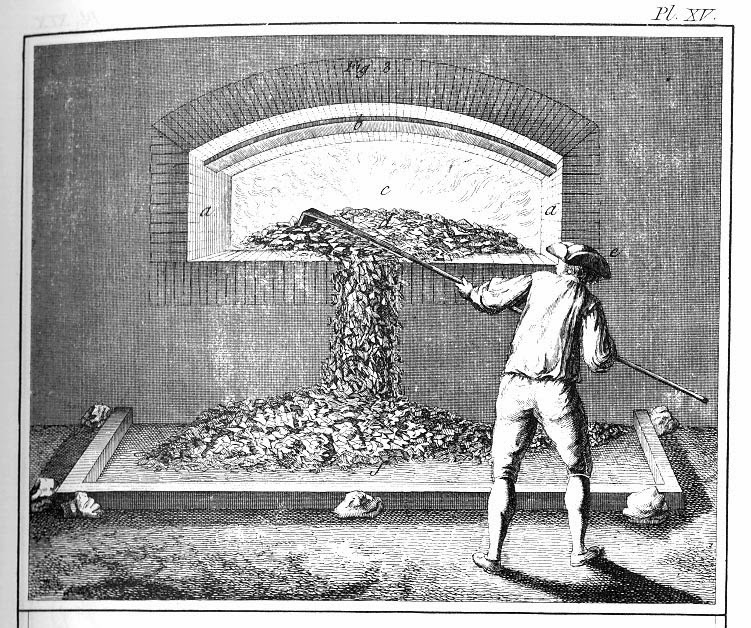 The combined materials were raked around in a kiln for a long period (many hours) and finally formed nut sized pieces. It was cooled and heaped into piles in dry cellars where it was aged for a time. This is where some real "magic" in glassmaking takes place. The glass salt or soda dramatically lowers the melting temperature of the quartz, all the way down to a point that was easily achieved in a wood fired furnace. 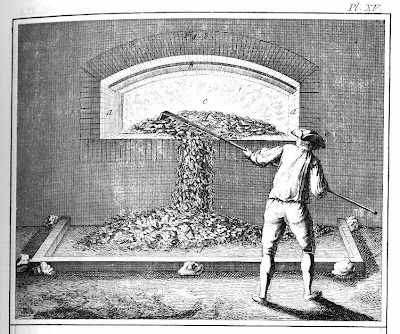 When a batch of glass was made, the aged frit was then melted in furnace crucibles and skimmed to remove excess salt, which floated on the surface; it could foul the glass, and smelled terrible. 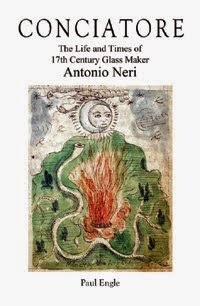 The melted glass, now ready to work, was sometimes colored and finally made into objects by gaffers.